An amendment to support consistent implementation of the forthcoming 0.50% limit on sulphur in ships fuel oil was adopted by the International Maritime Organization (IMO) on Friday (26 October), during the current session of the Marine Environment Protection Committee (MEPC 73). The new 0.50% limit (reduced from 3.50% currently) on sulphur in ships’ fuel oil will be in force from 1 January 2020, under IMO’s MARPOL treaty, with benefits for the environment and human health. The complementary MARPOL amendment will prohibit the carriage of non-compliant fuel oil for combustion purposes for propulsion or operation on board a ship – unless the ship has an exhaust gas cleaning system (“scrubber”) fitted. Installing a scrubber is accepted by flag States as an alternative means to meet the sulphur limit requirement. Installing a scrubber is accepted by flag States as an alternative means to meet the sulphur limit requirement. The complementary amendment is expected to enter into force on 1 March 2020. The amendment does not change in any way the entry into force date of the 0.50% limit from 1 January 2020. It is intended as an additional measure to support consistent implementation and compliance and provide a means for effective enforcement by States, particularly port State control. Most ships are expected to utilize new blends of fuel oil which will be produced to meet the 0.50% limit on sulphur in fuel oil. Currently, the maximum sulphur limit in fuel oil is 3.50% globally (and 0.10 % in the four ECAs: the Baltic Sea area; the North Sea area; the North American area (covering designated coastal areas off the United States and Canada); and the United States Caribbean Sea area (around Puerto Rico and the United States Virgin Islands)). To assist ship operators and owners to plan ahead for the 0.50% sulphur 2020 limit, the MEPC approved guidance on ship implementation planning. The guidance is part of a set of guidelines being developed by IMO for consistent implementation of the MARPOL regulation coming into effect from 1 January 2020. The MEPC also approved Guidance on best practice for fuel oil suppliers. The Guidance on best practice for fuel oil suppliers is intended to assist fuel oil purchasers and users in assuring the quality of fuel oil delivered to and used on board ships, with respect to both compliance with the MARPOL requirements and the safe and efficient operation of the ship. 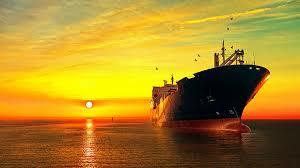 The guidance pertains to aspects of the fuel oil purchase up to the loading of the purchased fuel oil on board. Following a discussion related to a proposal on gaining experience in meeting the new lower sulphur limit, the Committee invited concrete proposals to the next MEPC 74 session (May 2019) on how to enhance the implementation of regulation 18 MARPOL Annex VI which covers fuel oil quality and availability. On fuel oil availability, the regulation requires each Party to “take all reasonable steps to promote the availability of fuel oils which comply with this Annex and inform the Organization of the availability of compliant fuel oils in its ports and terminals”. Parties are also required to notify IMO when a ship has presented evidence of the non-availability of compliant fuel oil. Parties to MARPOL Annex VI are urged to inform the Organization of the availability of compliant fuel oils in its ports and terminals via the IMO Global Integrated Shipping Information System (GISIS) MARPOL Annex VI module well in advance of 1 January 2020, in accordance with regulation 18.1 of MARPOL Annex VI. The new lower 0.50% limit on sulphur in ships’ fuel oil will be in force from 1 January 2020, under IMO’s MARPOL treaty, with benefits for the environment and human health. A study on the human health impacts of SOx emissions from ships, submitted to IMO’s Marine Environment Protection Committee (MEPC) in 2016estimated that by not reducing the SOx limit for ships from 2020, the air pollution from ships would contribute to more than 570,000 additional premature deaths worldwide between 2020-2025. The new limit will be applicable globally – while in designated emission control areas (ECAs) the limit will remain even lower, at 0.10%. The 1 January 2020 implementation date was adopted in 2008 and confirmed by IMO in October 2016, giving certainty to refineries, bunkering and shipping sectors. IMO has been working with Member States and the industry to support implementation of the new limit. Enforcement, compliance with and monitoring of the new sulphur limit is the remit and responsibility of States Party to MARPOL Annex VI.